At David Dodge Chrysler Jeep RAM we are constantly growing our staff. We are looking for employees who are hard working and show a desire to learn. We offer full benefits, 401K, paid vacation and more! Take a look at the available positions we have below. 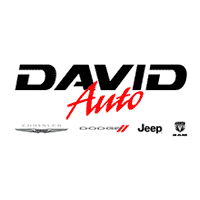 If you are interested please email us your resume at jobs@drivedavid.com or apply online. Are you motivated? Do you have good communication and interpersonal skills? If the answer is “yes” then the Sales Department at David Dodge Chrysler Jeep RAM just might be the place for you. Our Sales Team is quickly growing and we need young men and women to help with the influx of business. Assisting customers who enter the dealership. Answering their questions and helping them select a vehicle that is right for their needs. Work in our Business Development Center (BDC) to maintain a buyer follow up system and answer phone calls/emails from potential customers. Explaining product performance, application and benefits to prospects and describing all optional equipment available for customer purchase. Offering test drives to all prospects and following dealership procedure to obtain proper identification prior to test drive. Keeping abreast of new products, features and accessories available and translating their benefits to customers. Attending product and sales training courses. Preparing sold vehicles for customer delivery prior to customer arrival, ensuring that the customer understands the vehicle’s operating features, warranty, paperwork. Introducing customers to service & parts/accessories department. Experience in sales or automotive sales is a plus but not required. Training will be provided. We are looking to hire one Technician with Chrysler experience. Any level (1,2,3, Specialist or Master) should apply. Make sure you talk to us before you consider anywhere else. Whether you are looking for the right place to start your career, if you are tired of working for someone that does not appreciate the challenges you face every day, maybe you are looking for the right place to spend the last segment of your career and need someone that understands what that means! We can fit any of those situations into our diverse shop. They all have something to offer. Please contact us today. You will not be sorry! Proper tools and tool storage.